Vespa has unveiled a special edition scooter at the ongoing Gainkindo Indonesia International Auto Show 2017. Christened as Vespa Sprint Sport, this is actually an accessorised version of the Sprint and thanks to the cosmetic updates the special edition scooter appears pretty interesting. 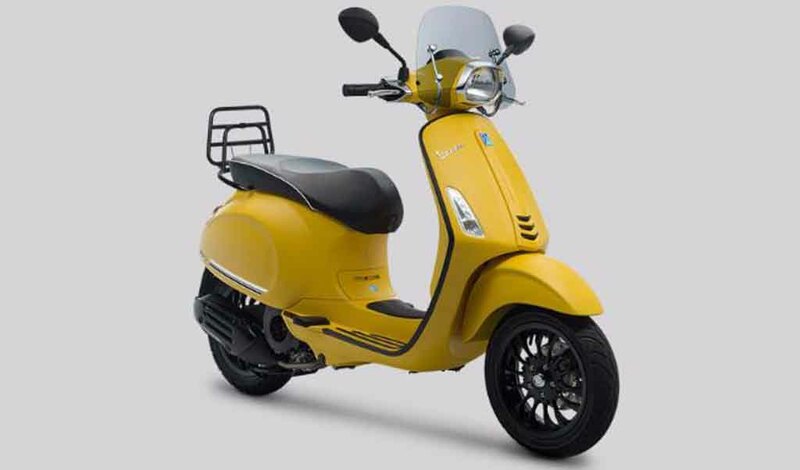 The scooter is available in two different colour options – Yellow and Matte Silver. Being a special edition model, the Vespa Sprint Sport scooter will be sold in limited numbers. However, the pricing of this scooter is yet to be disclosed. It gets a windscreen and there is a rear luggage rack as well. To make the scooter visually attractive, Vespa has painted the rear view mirrors, wheels and exhausts in black. Also read: Meet The Most Powerful Vespa Scooter Till Date! The analog-digital instrument cluster, generous leg room for the rider and a lockable storage compartment are the other features in the scooter. The well cushioned seat offers comfortable riding experience. Its 9-litre capacity fuel tank ensures moderate running range. It also gets an electric saddle opening and USB port for charging smartphone or any other device. The scooter is powered by 154.8 cc I-Get single-cylinder, air-cooled engine coupled with a CVT. The engine is capable of churning out 11.82 PS of peak power at 7,500 rpm and 12 Nm of peak torque at 5,000 rpm. 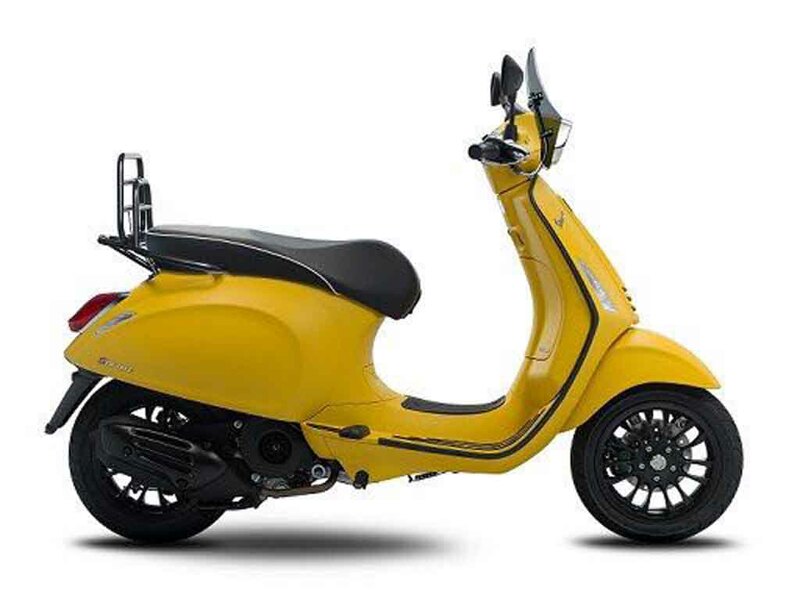 The iconic Italian scooter manufacturer claims that the Italian Green Experience Technology used in the Sprint Sport model offers impressive fuel efficiency and lowered emission. For braking duty, the scooter gets a 200 mm front disc brake and a 140 mm drum unit at rear. Suspension duty is done by a single sided trailing link unit and rear gets a pre-load adjustable monoshock absorber. It runs on sporty black alloy wheels wrapped with 110 section front and 120 section rear tubeless tyres. Considering the growing demand of premium scooters in our country, we can expect it to hit the Indian shores as well. However, there’s no such confirmation from the Italian brand.